I’m a huge sucker for a new perfume to add to my collection, and, as I’m sure Dan would agree, I probably use far too much of the stuff but I just can’t resist! 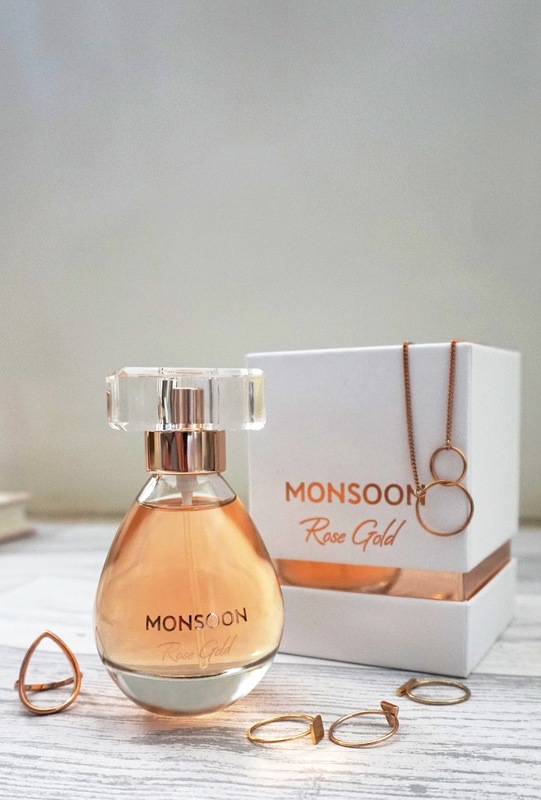 The Rose Gold Eau De Parfum by Monsoon landed on my doorstep a couple of weeks back, and as you can probably tell from the gorgeous packaging, it was love at first site. On first impressions, the packaging is something you’d expect from a much more expensive fragrance. I think it’s quite a luxurious product for the £24 (30ml) price tag and wouldn’t look out of place on my dressing table alongside the likes of Jo Malone and Marc Jacobs. On to the most important thing; the scent! This is quite an unusual one to describe, as it’s quite feminine and delicate but also has a musky, grown up feel to it too. It’s one that I’d say works well for both day and night, thanks to its lovely mix of notes of lemon, neroli, musk, amber and vanilla to name a few. It’s quite strong, but not too strong, on first application but then it settles in to something that is both fruity and floral without being overpowering or sweet. The bottle has now made its way in go my handbag for a quick spritz when I’m on the go, as its a scent I’d happily wear on off duty days, days in the office or evenings out for dinner and drinks. Super versatile, perfect all year round and very affordable for an Eau De Parfum! 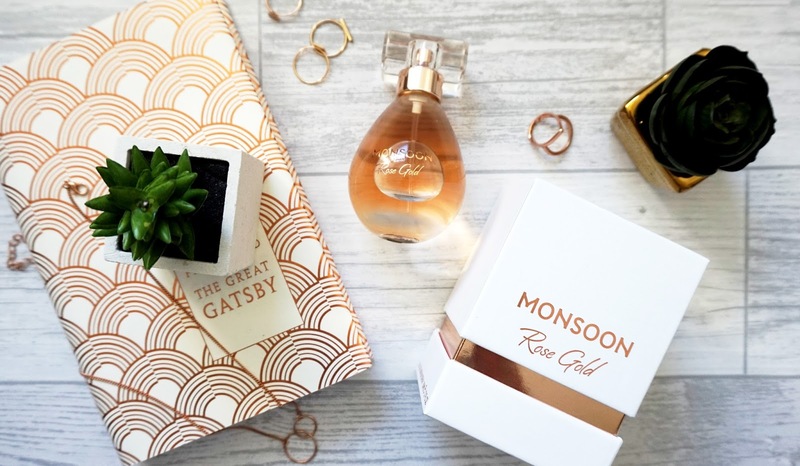 Have you tried the Rose Gold perfume yet? What’s your favourite scent to wear during the Spring months?